Most Western experts agreed that next year the subject of increased attention and consumption will be in-depth machine learning. 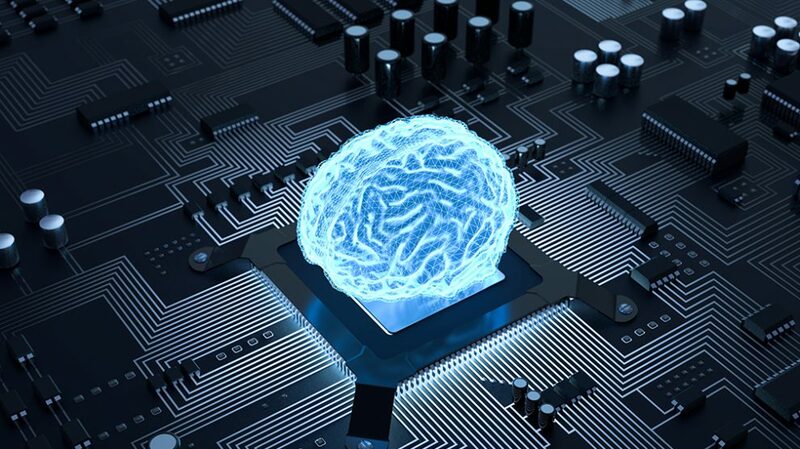 It is also assumed that the development of this particular direction of AI will be made directly by the developers of intellectual technologies and related software. The trend is due to the fact that today potential users are ready to invest in customer service and promotion of their products and services through the use of such systems. The method of in-depth training is generally used to automate a number of basic and specific services in all types of business, and is also commonly used in building effective marketing campaigns. According to experts, "narrow-minded AI", which standardizes and systematizes a certain set of business processes, loses the technology of in-depth machine learning, since the latter is not only able to solve the standard tasks in the framework of the tasks, but also contributes to the overall digital transformation of industries in general. 2019 is also expected to be more open source data for machine learning developers. 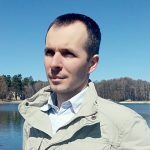 Since the effectiveness of the AI ​​solutions actually depends directly on the data embedded in the data technology, when creating additional applications of artificial intelligence or in-depth training models, the amount of these data has to be increased not only as much as possible, both for developers and consumers. Today's problems are not limited to large corporate companies such as Amazon or Google. More humble companies or independent developers of luxury in the form of a huge amount of all necessary for the successful operation of data do not possess, using only the benefits of those sets that are open access. However, experts believe that in the near future the problem will be exhausted, and large enterprises will begin to share their data and programs with which they work, instead of trying to keep their own data in secret. As the AI ​​becomes customary as part of its application, companies will be able to share data with suppliers in order to expand the capabilities of machine learning and teach AI to learn lessons from business data, but also from the entire client base of developers. In addition, the benefits of such sharing of available information, in the opinion of analysts, in any case outweigh the risks, which, first of all, is related to its security. It is promising that companies of different levels, developers and software vendors will also be more likely to open data for expanding partnerships. This will be particularly effective in automating the AI ​​of global processes in the spheres of economy, politics, industry. The necessary data for automation can also be purchased. Of greatest value, of course, will be direct software and intelligent applications that can make the technology work. Competition in this market of services will be tough - any advantage that a supplier will be able to receive will be decisive. However, it will also benefit non-enterprise enterprises that will begin to implement AI in their overall business processes, due to the fact that technologies and data will become more accessible and scalable. Immediately, the actual implementation of artificial intelligence in business will directly depend not even on its needs, but more on the developers, especially the big players in the technology market. Already, there are such global platforms and web services like Amazon (AWS), Google Cloud Platform, and Microsoft Azure. They have a comprehensive range of advanced machine and in-depth APIs and microservices, which enable businesses to easily deploy AI in their business operations. These solutions are universal, cost-effective, easy to install and maintain, and therefore have unconditional benefits along with the offerings of other suppliers. Finally, automation of robotics (RPA) processes will become even more relevant and demanded in the 2019 year. This technology is still in its infancy, but it will definitely have a significant impact on business process management, Westerners say. RPA is targeted at smart robots that access software used in business and automates all possible processes in the presence of the required amount of data. The advantage of RPA systems is that they are very easy to build, customize, and learn. These solutions can eliminate human errors and help IT teams focus on more important processes, rather than spending time and energy on improving the minor but necessary aspects of the industry. Digital platforms are constantly evolving, and 2018 year has opened the way to more decentralized networks, hybrid / digital business models and third-party partner relationships within businesses. These changes will undoubtedly affect the PaaS and IaaS technologies, as well as the success of sales, marketing and business processes in general, changing the way of interaction within the B2B relationship. The popularity of microservices has sharply increased in 2018 year and will continue to grow in 2019. Many businesses are beginning to transfer "inherited" applications to the digital environment, and corporate companies will continue to invest in exploring the opportunities offered by cloud and hybrid architectures. Unserver computing allows companies to leverage additional resources and partners to manage all of their core business functions using the pay-as-you-go model as they analyze current financial and production processes. The high level of efficiency and the ability to reduce costs make this way one of the most sought after computations. Digital ecosystems will focus on improving the quality of customer service and achieving effective results in key business processes. Today, it is actually an integral part of many enterprises and their livelihoods, as well as the most economically sound approach to solving the issues of organization, systematization, analysis, distribution and ease of use of data. 37% of world-leading companies using AI reported that they invested more than 5 million dollars. in cognitive technology.